Big way meaning almost like a second wedding reception. Back in the old days, because a lot of Koreans were poor, didn’t have access to a lot of medicine- many children would become sick and did not make it to their first birthday and when they did, it was a wonderful, very significant thing. Now, I think the first birthday represents more of a celebration and success of getting through the first year. . anyway, it’s a great celebration with family, friends and food! OH and there’s a head table with fruit, rice cakes, flowers and all sorts of stuff. It’s mainly there for the photos and guests so you want it to look nice. 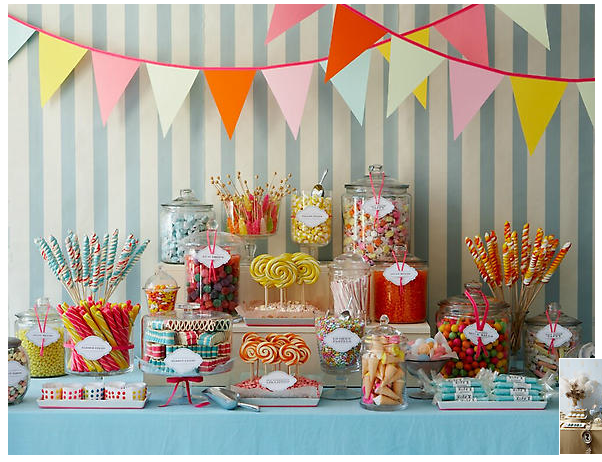 I love the small, beautiful details. . the color themes, the beautiful desserts, the “happy birthday” flag, the vibrant assortment of candy and the cute labels on all of the candy jars. . I love it all. 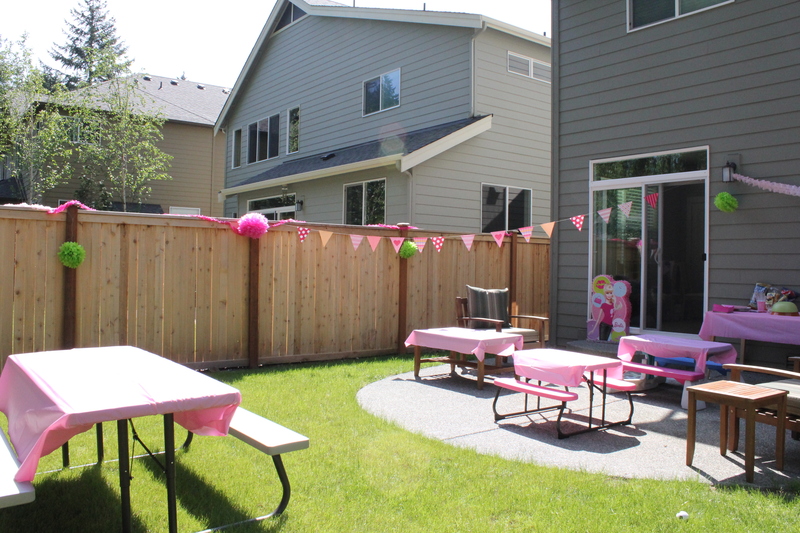 So, flash forward to my first daughter’s 5th birthday- I decided this would be the year that I host my daughter’s birthday party. . . at our house. I would channel my inner “Amy Atlas” and become my own party planner/decorator/events coordinator/party hostess extraordinaire! HA! DOUBLE HA! One thing about myself, I always like to THINK BIG and try to do too much so I usually have to stop myself, be sensible and realistic and do what I can. . . and COME ON, WE’RE TALKING ABOUT 5 AND 6 YEAR OLDS. Hell, they’d be happy with a balloon and a lollipop for all they care. 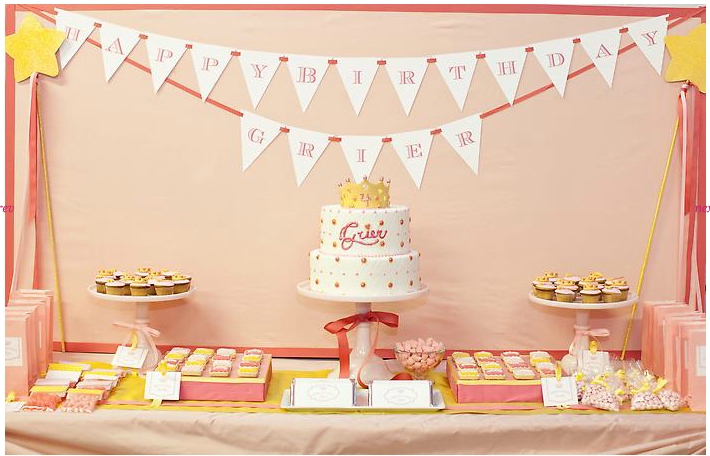 SO YOU’VE DECIDED YOU WANT TO THROW A PARTY FOR YOUR KID? 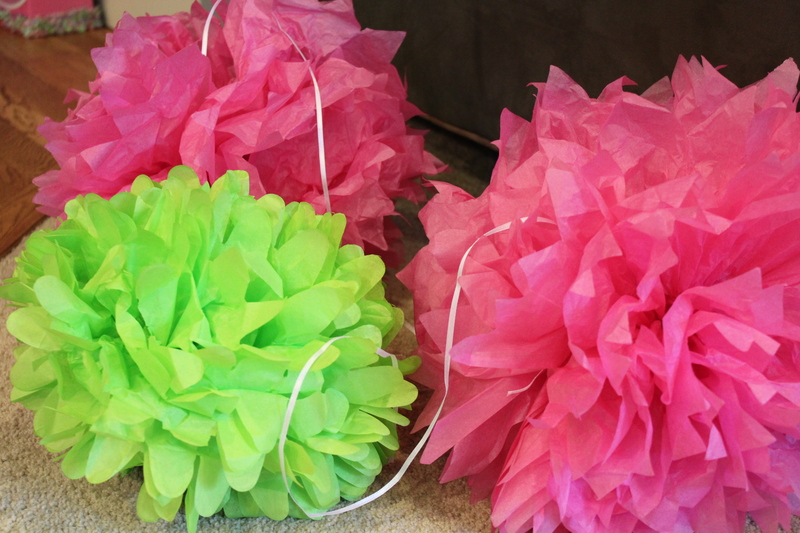 If you are going to make pom poms: BUY THEM AT PARTY CITY. 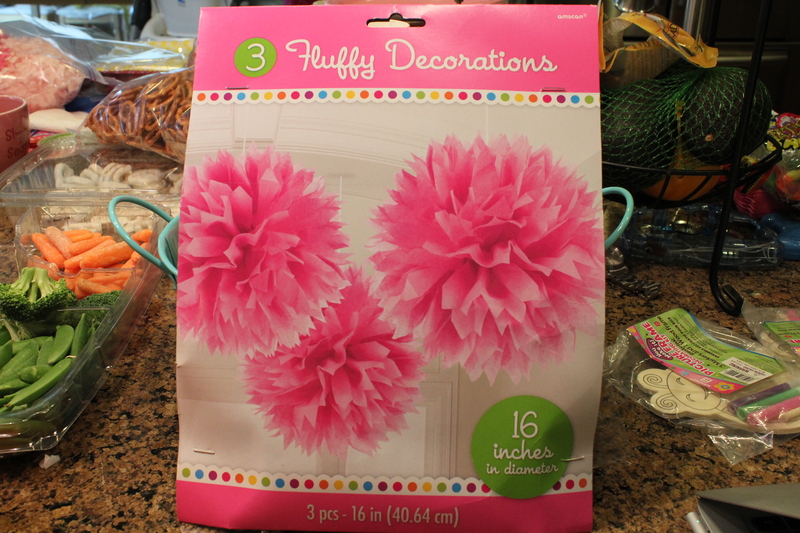 I spent $14 on a set of 3 pom poms and got pretty much the same thing (but BIGGER pom poms) from Party City. 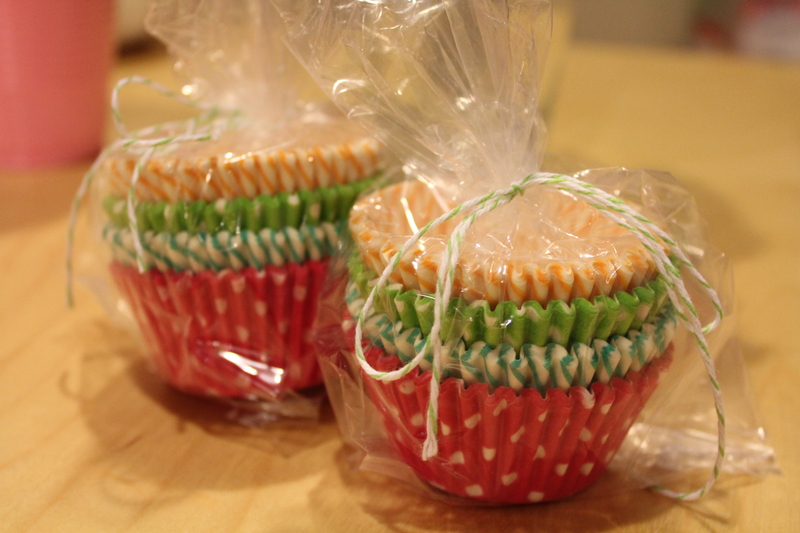 Super cute cupcake holders I purchased from Shop Sweet Lulu. They also had cute ones at Party City and Michaels. 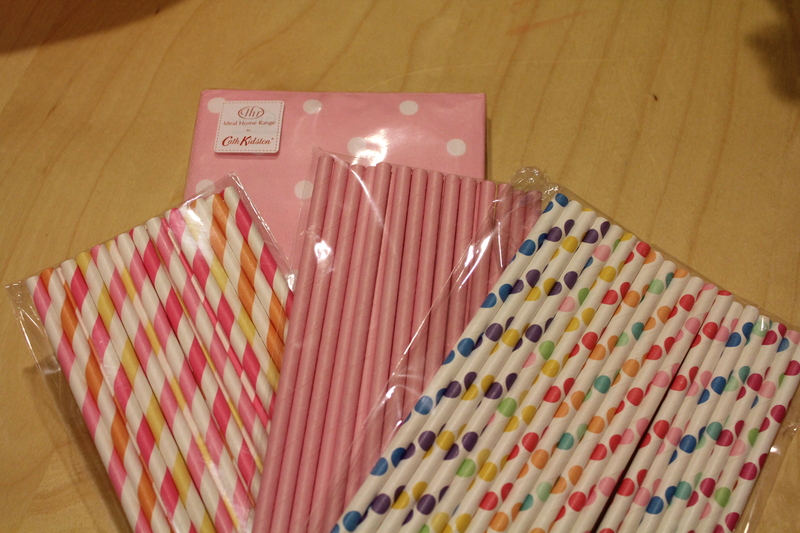 ShopSweetLulu does have super cute straws that I couldn’t find at Party City. I liked the ones she had online more. 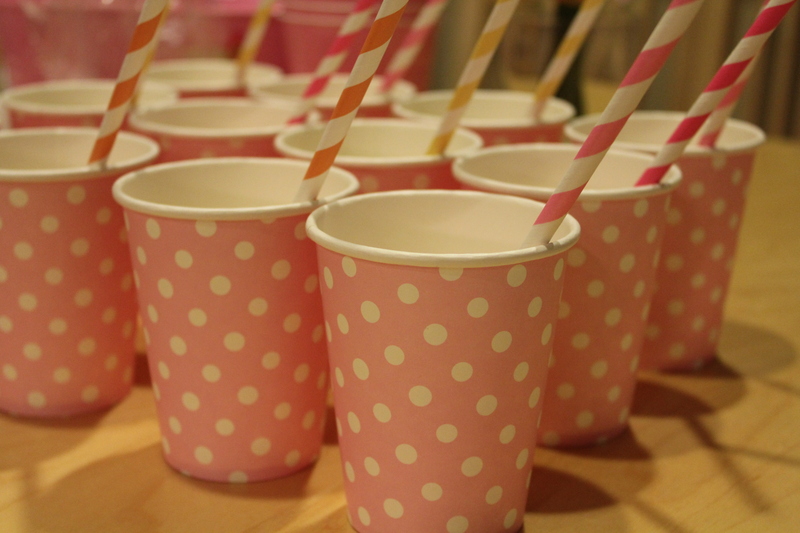 So CUTE, that I had to order more paper straws for my next party! 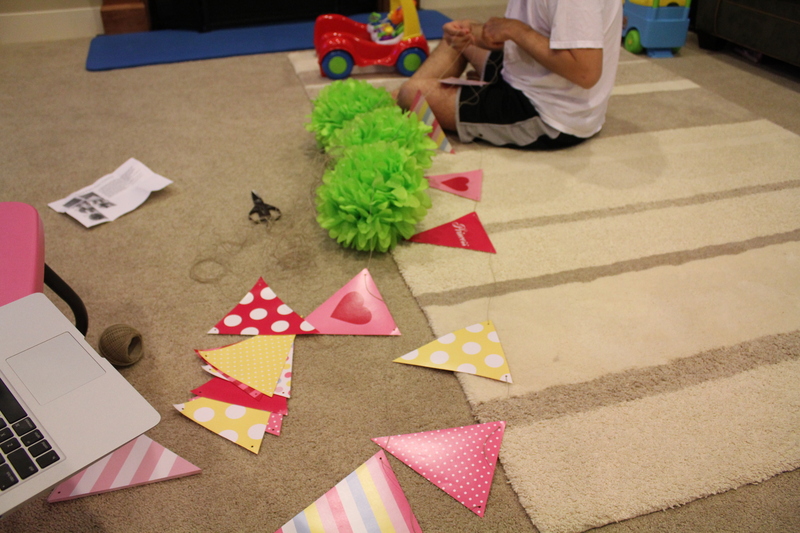 Party flag in progress (enlisted the help from my hubs). 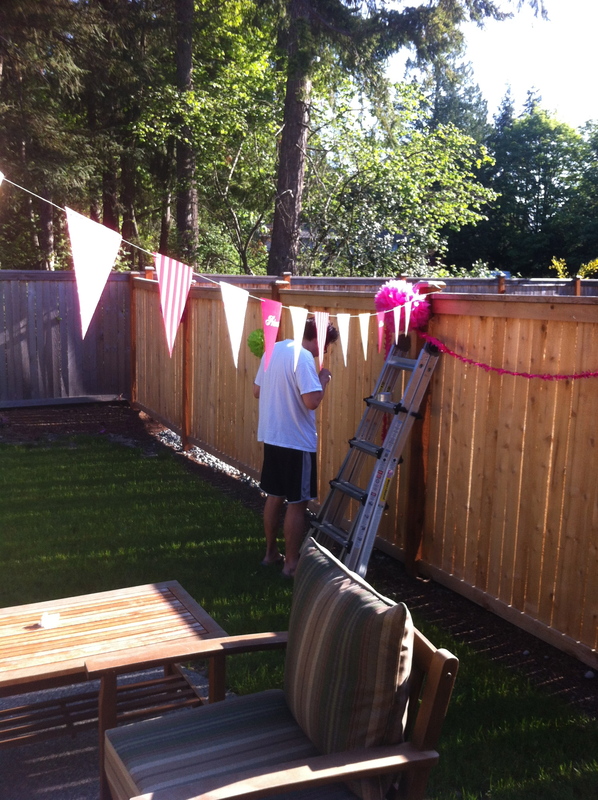 If you can’t think of anything creative, buy a pinata. The kids get to whack something and they get candy. They LOVE them. If you’re against hitting a papier-mâché animal, look online. 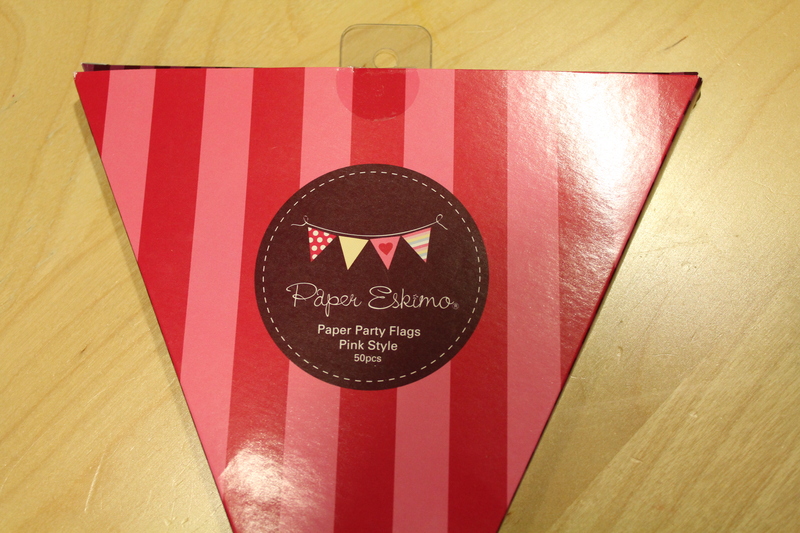 There are a TON of cool ideas for parties. 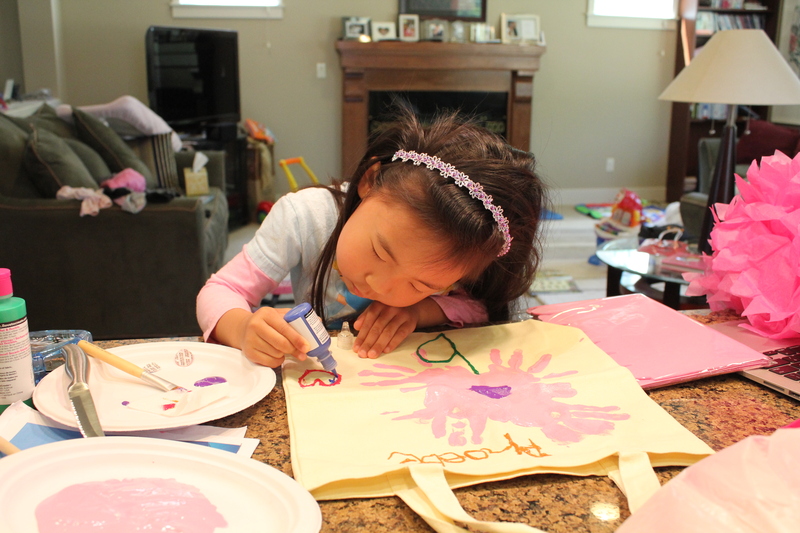 Hit up Michaels for ideas and shopping. 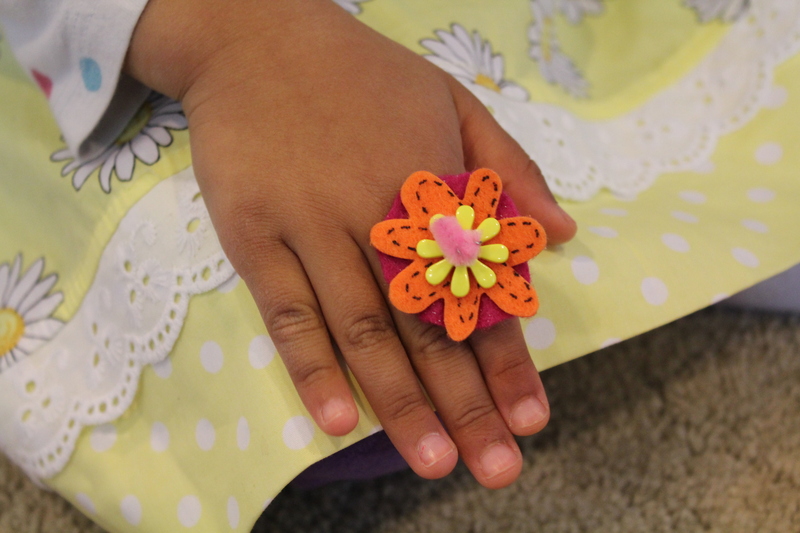 My daughter was turning 5 and loves arts & crafts and jewelry so we had each guest decorate his/her own canvas tote bag (which was part of their party favor) and they also made flower rings out of felt, buttons & pipe cleaners. Again, be flexible. I had planned for the kids to make necklaces but brought out the water balloons instead and had an impromptu water balloon toss that was a HIT! 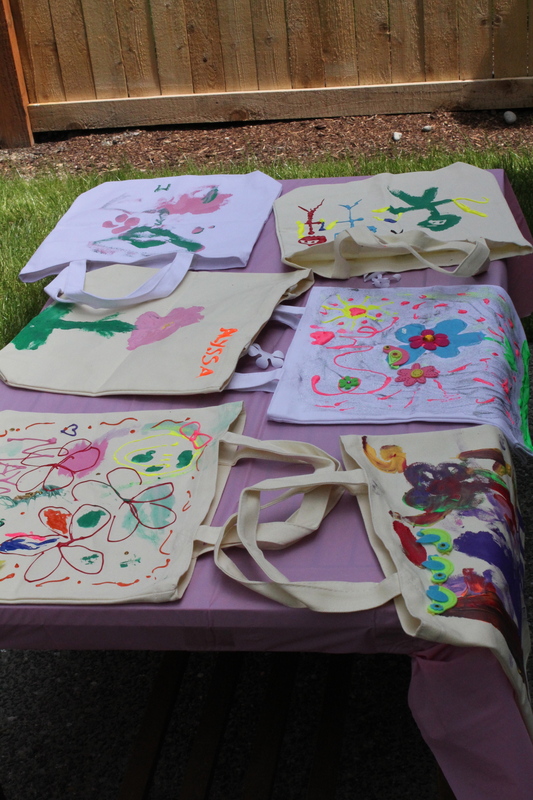 Painted bags at the party- the kids loved it and did a great job! 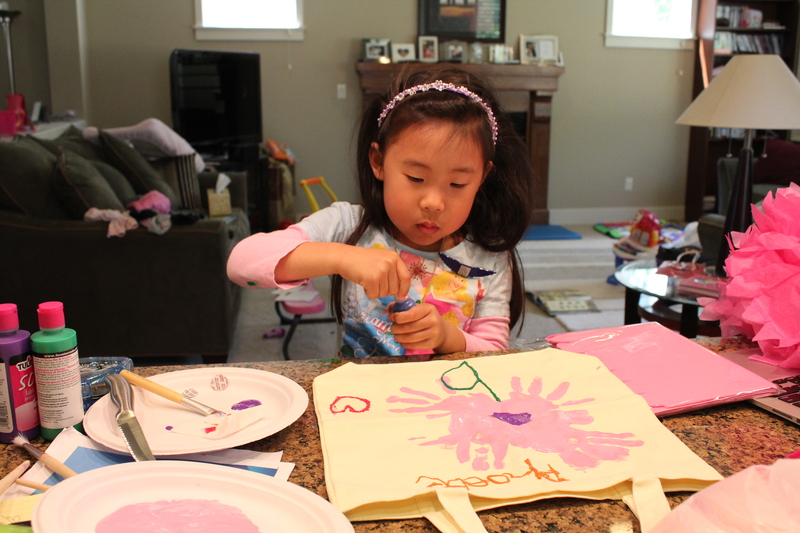 All in all, it was a great party, the kids had fun and my daughter enjoyed herself so I was a happy momma. 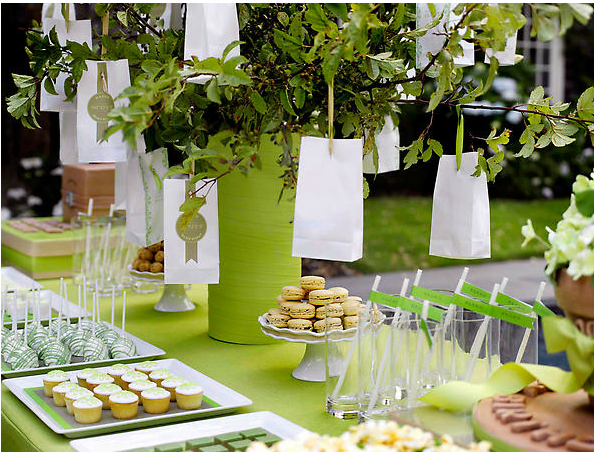 If you have to throw a party in the near future, I hope this post has inspired you to do something special too!